The Art festival "Gifts" is dated for celebrating Christmas. As well as magus, we aspire to bring the gifts, talks one of its curators, Sergey Chapnin, to the Savior who has born in the world. Everyone – moderately the talent and the understanding. Main here not only a gift, but also intention, desire of heart. Art languages on which we speak are most different, but the subject of the statement is uniform – a gift of gifts for creation and judgements of sacred space, being an aim festival. In this space are together icon-painters images, modern temple architecture and non liturgical art, but one turned to religious plots and researches. 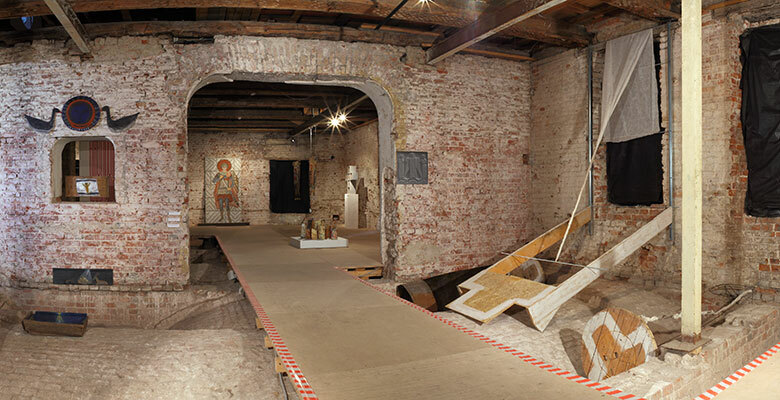 The Dialogue of Church and the contemporary art interests other curator of the project, Gor Chahal, 10 years. For this time at its participation there were organizing few round tables connected to this problematics including ones within the frameworks of corresponding exhibitions, such as "DVOESLOVIE/DIALOGUE" in the St. Tatiana's Church at the Moscow State University (2010), special project of the State Tretyakov Gallery "Bread of Heaven " (2011), exhibition of the Russian academy of arts "Art and religion in the space of contemporary culture " (2013), etc. Now curators of the project try to continue this undertaking. Art historian Irina Yazykova argues on, whether the border between Church and secular art is really impenetrable? Or they develop in close interrelation? On such questions the clear answer while is not present, but one is obvious: today we can speak not so much about revival of icon painting, how many about its return and development modern icon-painting tradition inside of which some tendencies are quite distinctly looked through. First, in recent years stylistic searches of icon painters have got a wide variety and a much greater amount of freedom and boldness of work. Secondly, in works of the Russian icon painters it is visible not only orientation to different historical styles, but also occurrence of individual manners of the painting, there is develops such phenomenon that can be named an "authorial icon ". In concept of the art critic Sergey Khachaturov the shown works can be generated on three categories. The first: new icons – the works appropriating iconographical programsof the begged character of eastchristian Church. The second: works on subject matter of plots and images of history the christianities created with basic deviation from accepted tradition and canon. The third category: works responding to major, inspired by Christianity, images of world culture. New icons are created by both the Orthodox priests and isographs of not church dignity: Anatoly Eteneyer, priest Andrey Davidov, Olga Shalamova, Marina Turnova, Alexander Kornoukhov … Works made in different materials and techniques. It is interesting to communicate with them: in fact at a huge piety to traditional iconography they are distinguished with quality which is admissible to name sociability. Sociability in relation to the modern art, to traditions of a modernism (from neo-naive up to expressionism, even to such style as "informel "). And this quality assists to occurrence of that it is accepted to call confidence, confidence to personal experience of comprehension of Faith at humility before its incomprehensible Mystery. The second group of works at the most sensitively responds on our nonclassical and radical concerning overcoming borders of different types and genres of the art world. 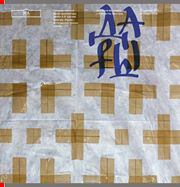 Gor Chahal, Maxim Ksuta, Alexey Djakov, Alexander Konstantinov, Tatyana Badanina, Vladimir Nasedkin, Valery Koshljakov, Anatoly Komelin, Irina Zatulovskaya, Andrey Kolosov's works is contemporary art. According to the law of existence of this art the spectator is obliged to be full not only sympathizer (as in classical tradition), but also the partner of creation of the Image. And when the sacrament of Transfiguration in Anatoly Komelin's work is recreated with several brutal wooden bars carries away power of that resonant environment which forces you to invent: what way all Universe and its smallest particles responds to specific event of Great History; what traces, secret signs on this History are caught in the imperceptible things most, apparently, and impressions. That the similar judgement has arisen, are required the responsibility, discipline think also of humility. Which distinguish, for example, Gor Chahal's works, devoted to apophatic divinity. One of them is a film, other is the picture written by acryle on canvas. In both is shown the process of a birth of Logos from the Chaos, from Shapeless – the Forms, shining in Eternity. This form infinitely is more perfect than any our ideas on it. All works of the second group are difficult for perception therefore as behind elementary simplicity the indispensability of personal work of mind and feelings of each spectator is hidden. An indispensability of its own responsibility is required. The third category of works are the proofs of generous presence of christianity passed through numerous cultural texts-filters in world culture which is consecrated and educated by it. Installations and Ilya Piganov, Jury Avvakumov, Olga Tobreluts, Nadezhda Muhina's pictures, group "Bursas " with the well-known stake of convention can be united by term of "neo baroque " - their view is so intricate and attractive, so polyphonic and even emblematic is the form of its dialogue with the spectator. The exposition is created so, that art works of different groups in each hall adjoin. In this careful neighbourhood when each separate work is perceived similarly to a jewelry, at the same time in a context of others, all at the most reveals three groups are interdependent, mutually reinforcing. Art works are united, but not mixed.